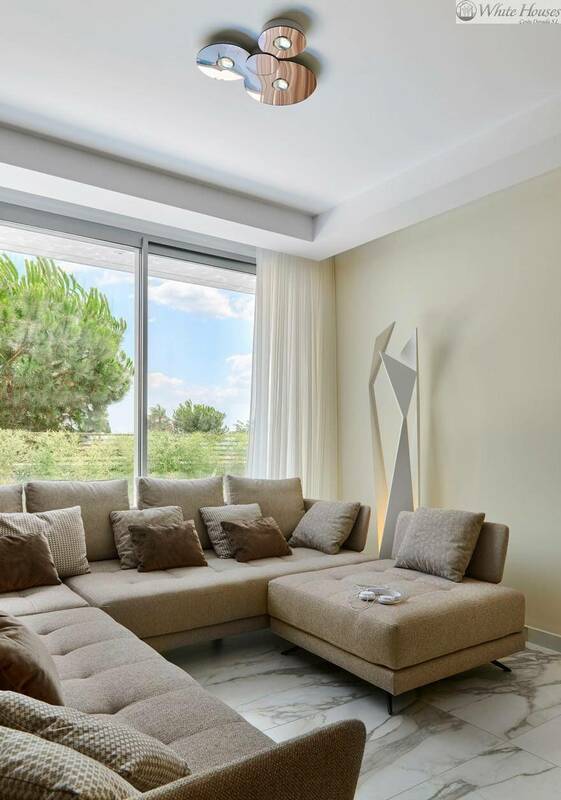 Modern single-family villa on 2 floors located in the coastal Spanish village of Cambrils, in the residential area of Ardiaca (Tarragona – Costa Dorada), in front of an amazing sandy beach. 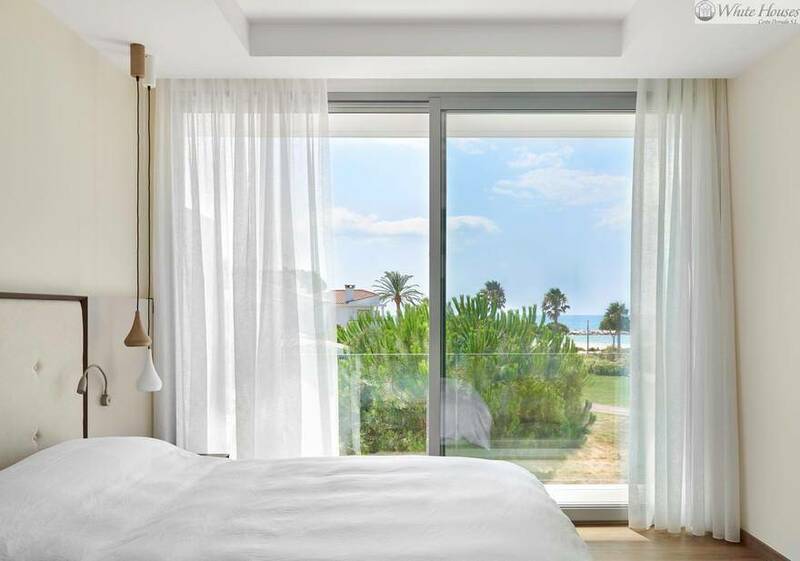 Cambrils, 20 km South of Tarragona, is one of the most beautiful cities of the Costa Dorada and means sea, beach, gastronomy, family tourism, sports, leisure and relaxation. 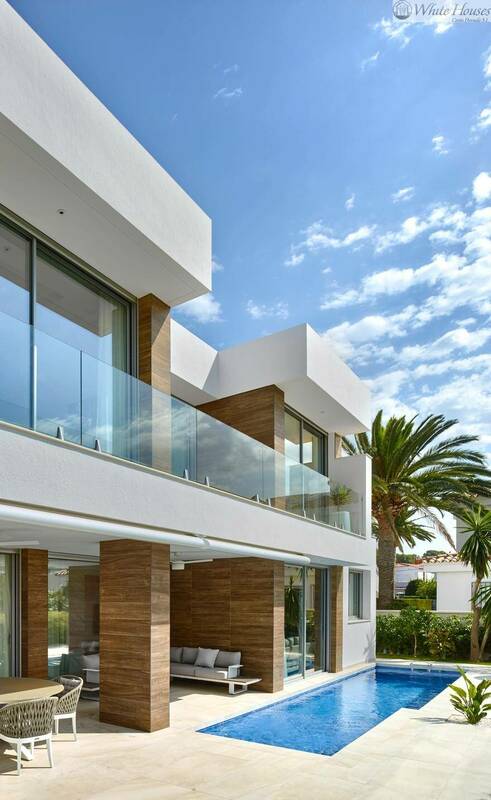 This project concerns of a house of new construction with an astonishing sea view to the Mediterranean Sea. 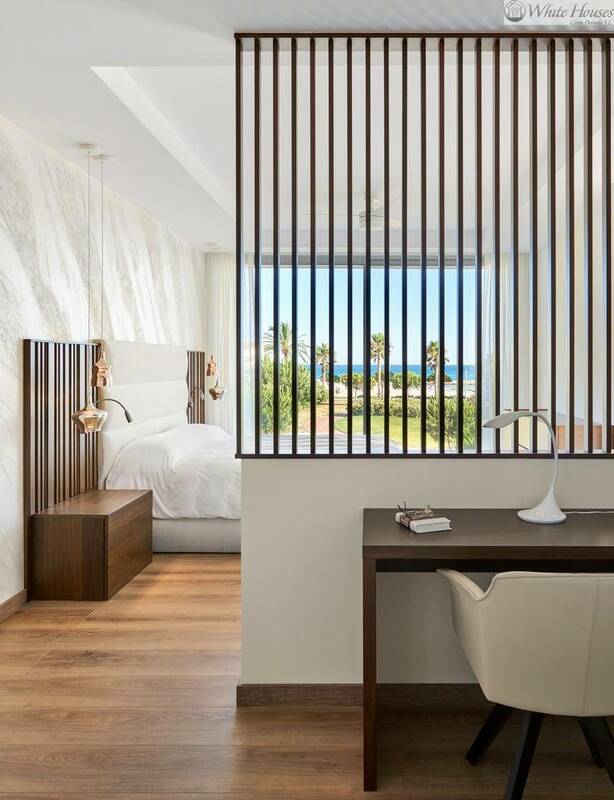 This project conceived by White Houses Costa Dorada’s team, combines modern white lines and traditional colors and materials like wood textures to highlight and define volumes. 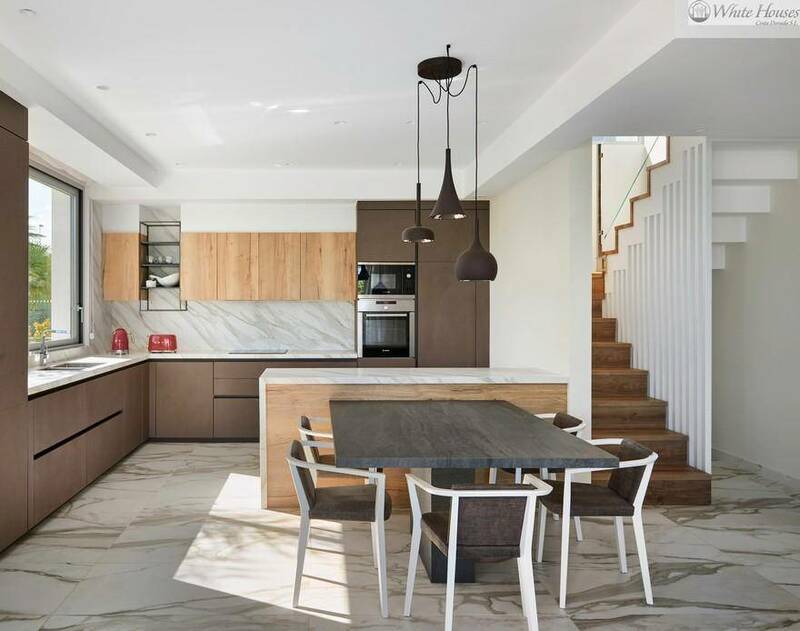 This modern single-family villa is characterized by the combination of modern and strong shapes, open spaces, softened by the use of wood bathed by the sun’s glare. 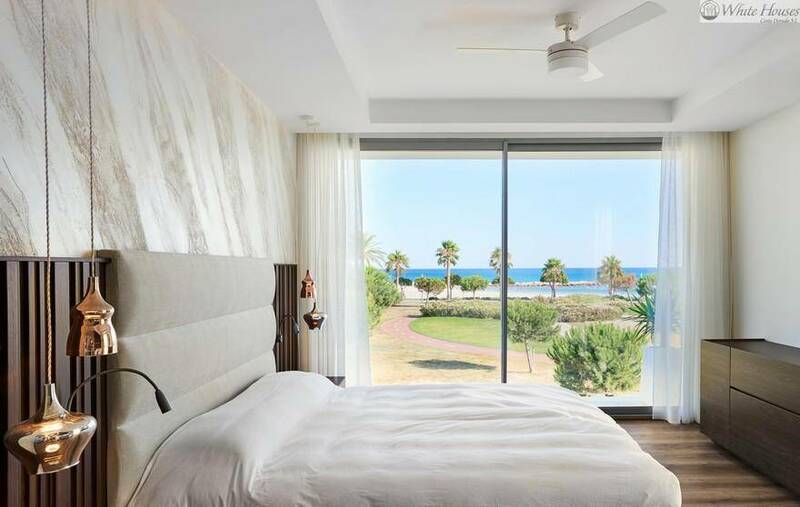 The main facade overlooking the sea and the amazing beach, opens thanks to large windows overlooking the unique landscape of the Mediterranean sunny coast. 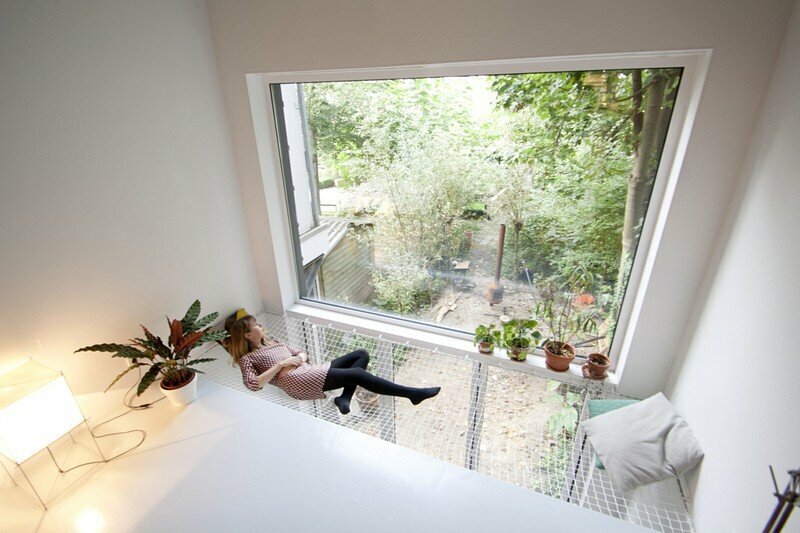 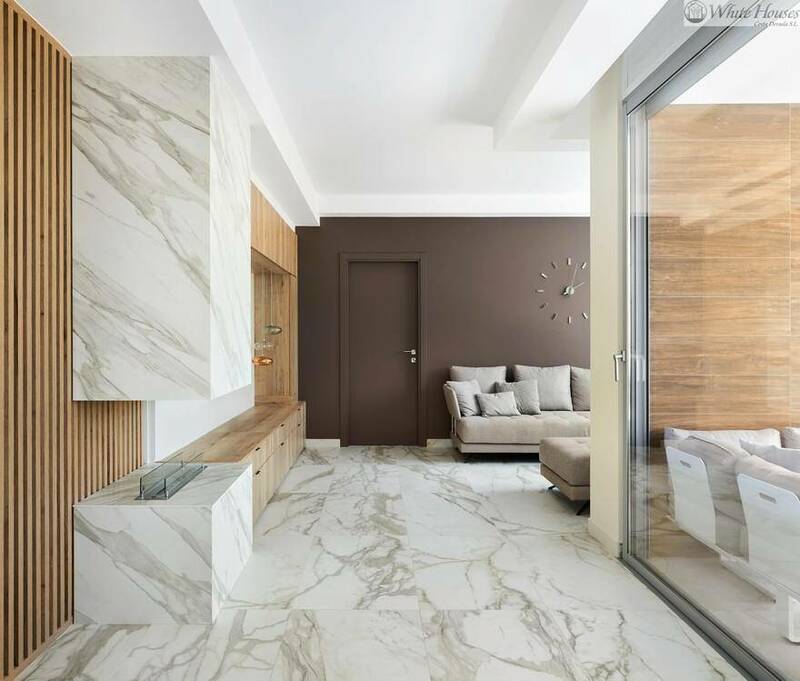 Interior and exterior design, the modern touch and the constant presence of the beautiful surroundings give life to a unique and comfortable home. 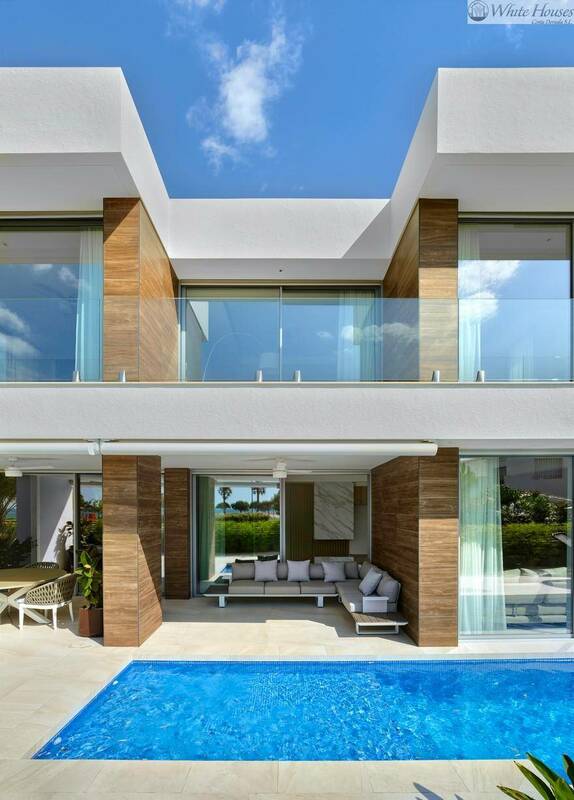 The garden and pool melt with the interior of the house thanks to the presence of glass, giving continuity and quality of life. 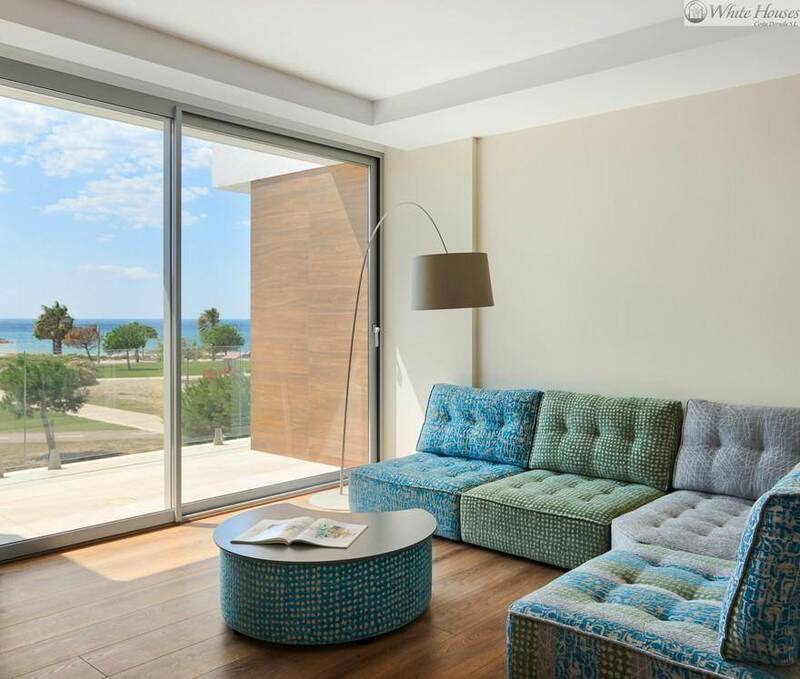 Wide exterior areas with covered and uncovered terraces around the swimming-pool, offer the possibility to breath the sea and enjoy the unique location. 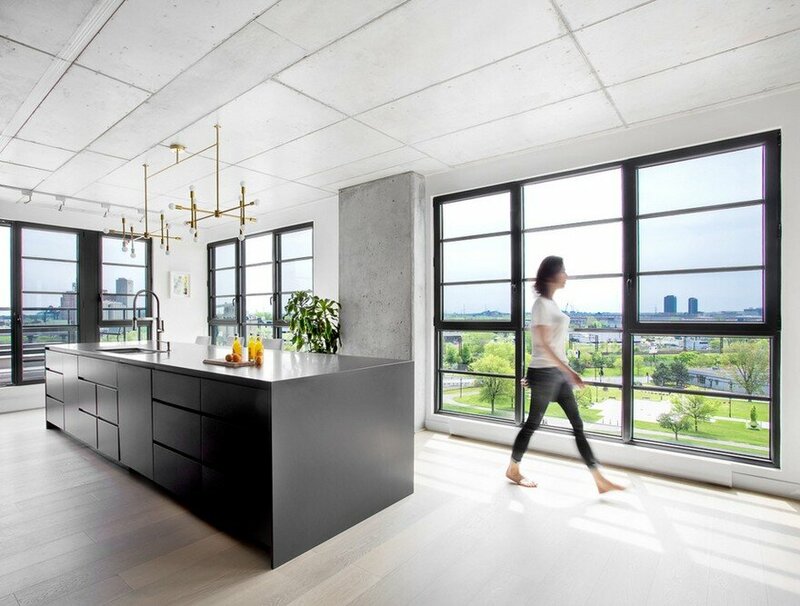 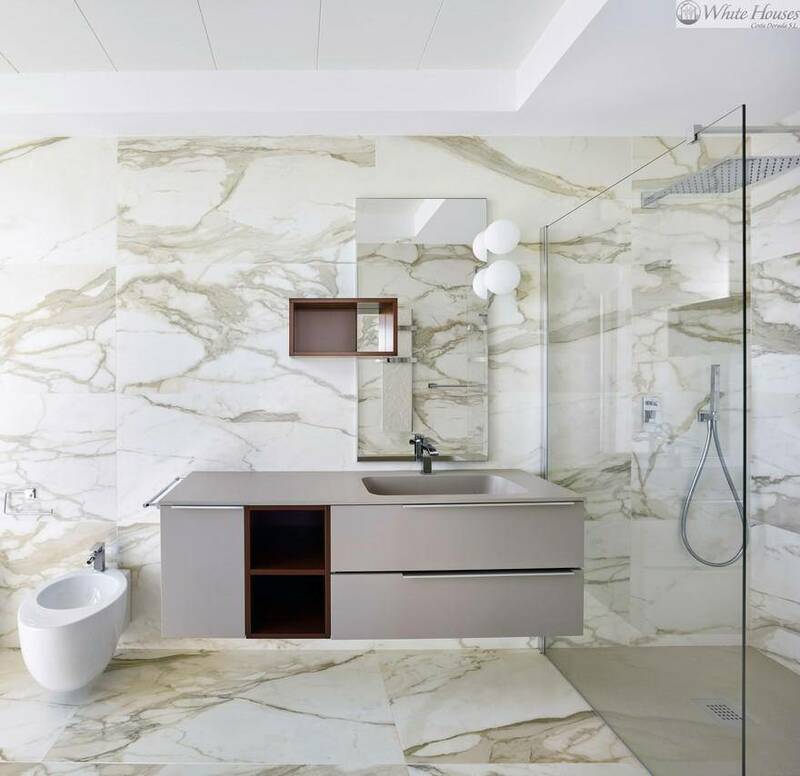 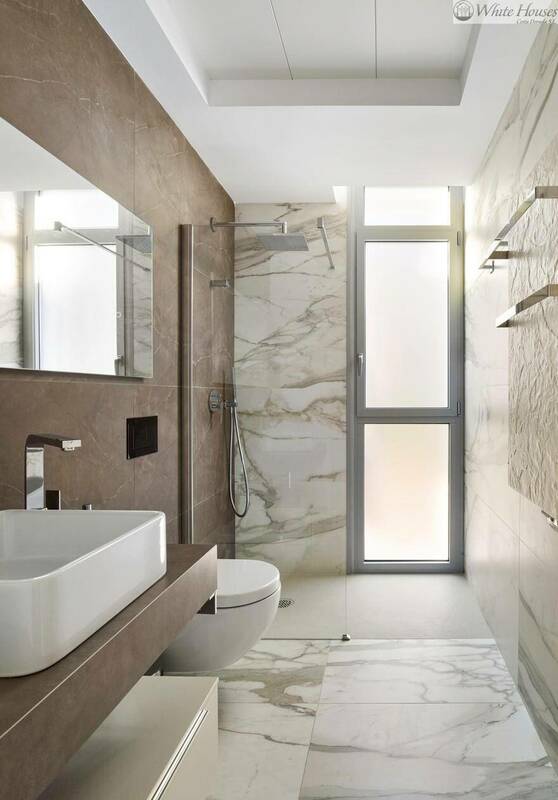 The interior has the elegant and uniform touch of the Calacatta marble finishing, in big matt slabs, which gives a modern touch and provide warmth at the same time. 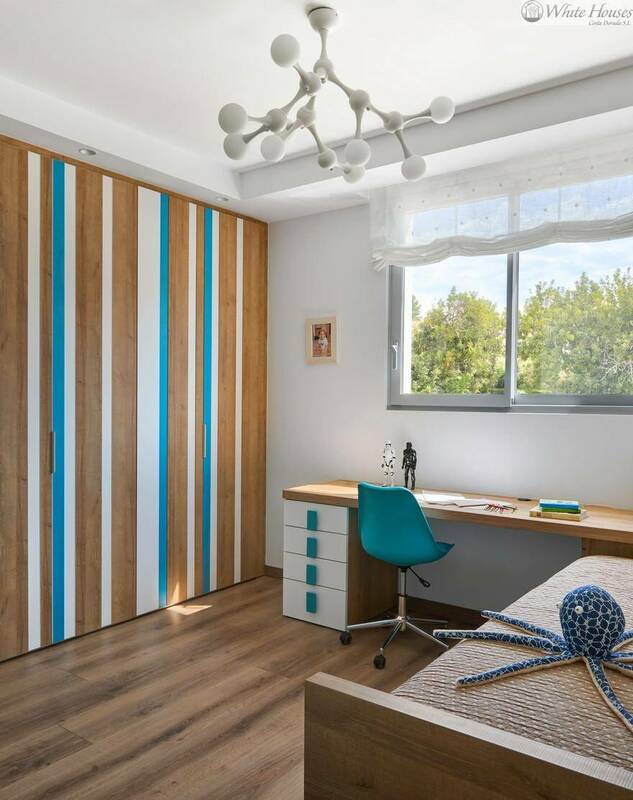 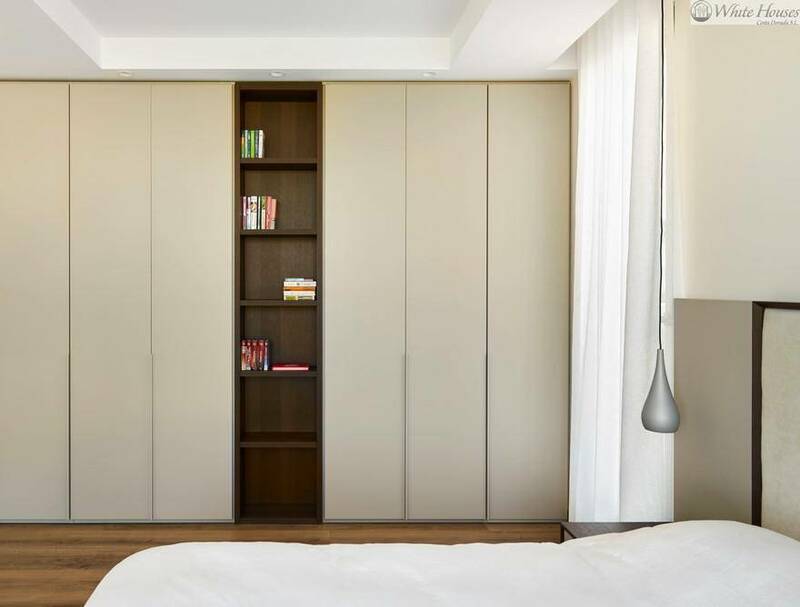 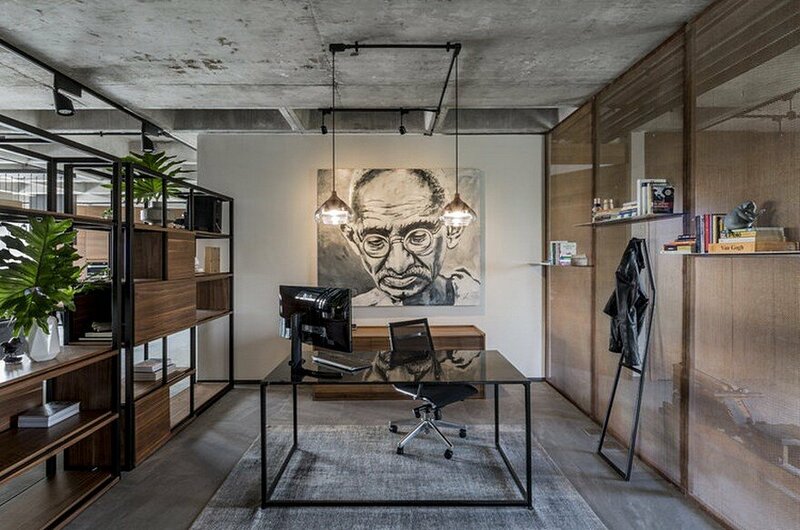 The Italian finishing and materials employed find their place in spacious and bright rooms, all characterized by wooden floors in bedrooms and wooden touches all over the house. 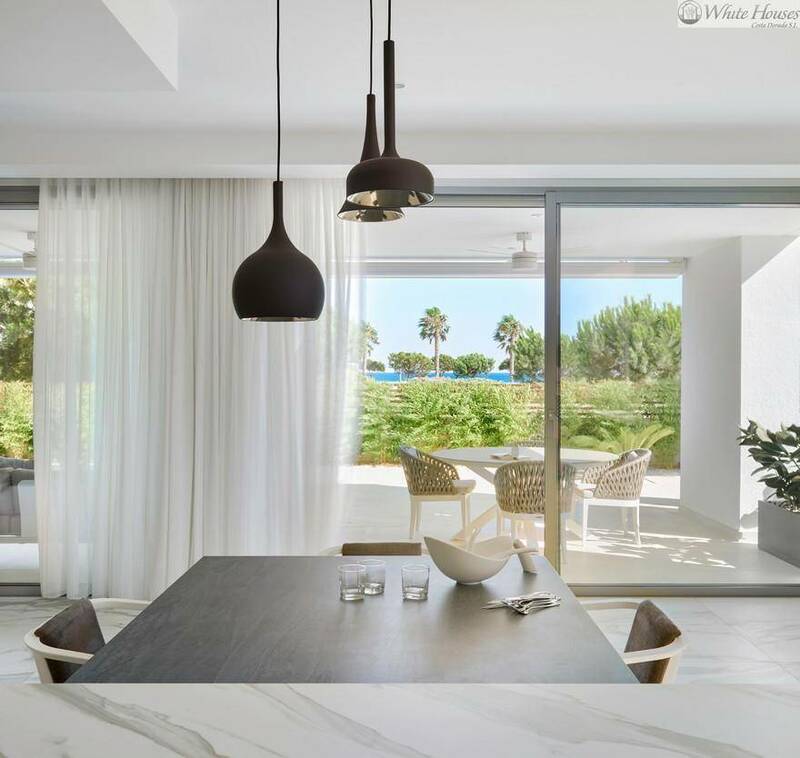 The architectural strategy has been studied to achieve this suggestive effect that is shared from all interior angles of the house enriched by the constant presence of a breathtaking sea and beach view.